Opinion: New Zealand cannot bow to Chinese pressure over the Huawei debacle. Approaches that protect our interests must be considered, writes Gehan Gunasekara. The decision whether Huawei will be approved as supplier for Spark’s 5G network will be based on legal processes and not political considerations, says Prime Minister Ardern. 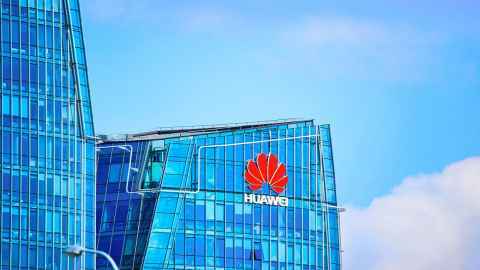 In an opinion piece in the NZ Herald this week, Bryan Gould argues that New Zealand now cannot simply bow to Chinese pressure tactics over the Huawei debacle. I agree, unless – and this should always be on the table – we simultaneously extract significant concessions in return such as a major upgrade to our Free Trade Agreement with China. There may, however, be an alternative way forward, one based on a principled approach as opposed to crude realpolitik. The weaker party in a David and Goliath standoff of this nature is often in a stronger position due to occupying the moral high ground and, consequently, able to win the propaganda battle. When questioned by reporters, the Prime Minister has repeatedly stated that the decision whether Huawei will eventually be approved as supplier for Spark’s 5G network will be based on New Zealand’s legal processes and mechanisms and not on diplomatic or political considerations. There has been little scrutiny, however, to the nature of these processes and the extent to which they are indeed separable from political influences. Intriguingly, the 2013 Telecommunications (Interception Capability and Security) Act legislation states one of its key purposes is to ensure intelligence agencies “do not create barriers to the introduction of new or innovative telecommunications technologies” and to ensure operators “have the freedom to choose system design features and specifications that are appropriate for their own purposes.” However, these must be counterbalanced by a proportionate need to address security risks arising from the “design, build, or operation” of networks and their interconnections with others. Likewise, Intelligence and Security Act legislation (section 9) requires three elements to be protected: New Zealand’s “national security”, its “international relations and well-being” and lastly “economic well-being”. Clearly, national security is paramount but the other two elements must be read alongside this. Where economic well-being and international relations are concerned, the importance of maintaining links with China, our largest trading partner, must be factored in so it is not immediately evident that the Five Eyes relationship with the USA and others should take precedence under the legislation. ...it is tantamount to treason for politicians of all persuasions to make a political football of the issue. We should speak with one voice to China as we have on our anti-nuclear stance to the US. In relation to the latter, the problem is partly that the interception legislation requires network operators to provide “back doors” in their systems to allow intelligence agencies to access data when they obtain relevant warrants. We know from Edward Snowden’s explosive 2013 revelations that the US National Security Agency (NSA) is alleged to have installed components in routers and servers supplied to network operators containing hidden back doors that fed information back to it. The obvious concern is that should components contained in Huawei products contain similar back doors then, potentially, Chinese intelligence agencies could become uninvited participants in the Five Eyes network. At the time, opponents of the legislation pointed to this risk and it may now be worth considering alternatives to the whole back door concept. So where to from here? First, it is tantamount to treason for politicians of all persuasions to make a political football of the issue. We should speak with one voice to China as we have on our anti-nuclear stance to the US. Secondly, New Zealand should insist on reciprocity in its dealings with China. For example, China’s own Cyber Security Law of 2016 imposes security-vetting obligations (art. 35) on “key information infrastructure” operators there. Finally, the Government needs to order a peer review of the GCSB advice undertaken by independent experts (not by other Five Eyes members) and, more comprehensively, institute an independent taskforce of experts (similar to the tax working group) to review our membership of the Five Eyes network and whether it still serves New Zealand’s interests. If the outcome is to support the status quo then so be it and China will simply have to get over it. Gehan Gunasekara is an associate professor in commercial law at the Business School and deputy chair of Privacy Foundation New Zealand. This article reflects the opinion of the author and not the views of the University of Auckland. Used with permission from Newsroom A legal way out of the Huawei debacle published on 25 February 2019.